TCP Acceleration overcomes latency limitations to improve application response time and business productivity. 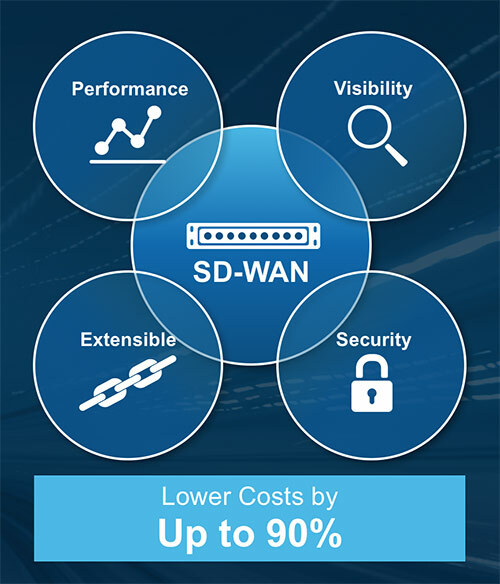 To clear up one common misconception, SD-WANs do not obsolete the need for WAN Optimization. WAN Optimization is all about improving application performance over distance and transporting large data sets efficiently. All the bandwidth in the world doesn’t diminish the physical distance, and therefore the latency, between offices in London and San Francisco. Many TCP/IP applications require handshaking or acknowledgements between end points before more data can be sent. Application acceleration shortcuts the handshaking to compensate for path latency, resulting in much better application response time, ultimately improving business productivity. 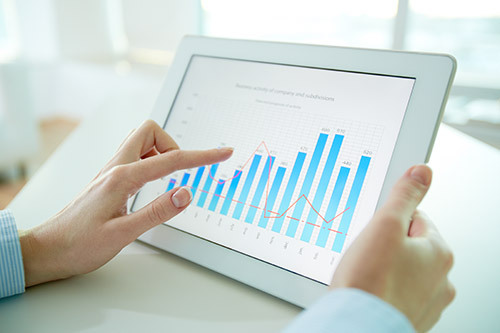 Silver Peak Unity Boost is an optional software performance pack that seamlessly adds WAN optimization to the EdgeConnect SD-WAN solution. Boost is licensed where needed on a per megabit-per-second and per site basis. It provides a single, fully integrated WAN solution, delivering the highest levels of application performance. Silver Peak Boost also includes features that save bandwidth and significantly reduce the time it takes to transfer large amounts of data. Data deduplication and compression minimize transmission of repetitive data. This frees up bandwidth for other application traffic which saves even more money. And, it allows IT to complete backups within their allotted time window. 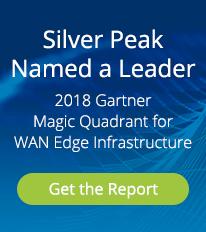 Silver Peak SD-WAN solutions bring a new level of high availability to applications. 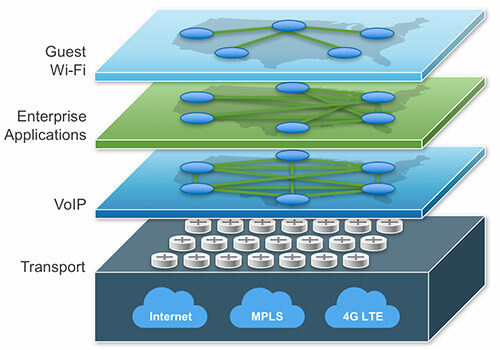 Previously, traffic for a specific application was mapped to a single WAN service. Silver Peak’s tunnel bonding technology pools connectivity from multiple sources to create a single logical connection from one, two or more different WAN links. For example, an MPLS link plus a broadband link or two broadband links can be part of a bonded tunnel overlay. Usually multiple logical tunnels are configured for the SD-WAN to deliver different levels of priority and QoS, often referred to as an application Service Level Agreement (SLA). Application traffic is mapped to a primary bonded tunnel based on its performance and availability requirements. Packets may be sent across all the available physical links, and Silver Peak’s Packet Order Correction feature keeps things in order, even if the delay varies between the different paths. When a path fails, EdgeConnect automatically utilizes alternate paths, and in high availability bonding mode, EdgeConnect can cope with transport brown-outs and black-outs without losing any application packets, avoiding interruption to the application. With visibility should also come control. Silver Peak’s robust packet inspection engine identifies applications based on the first packet which enables the SD-WAN to rapidly make decisions based on the nature of the data. 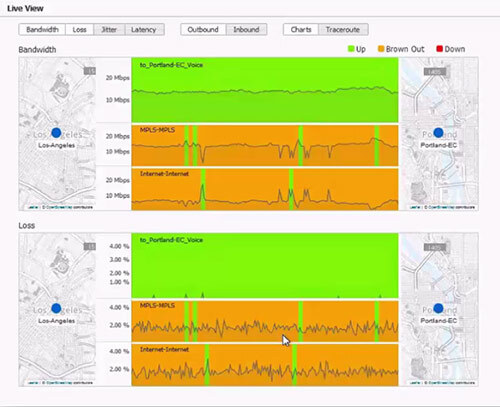 Once the application is identified, our Dynamic Path Control optimizes the WAN data path based on the required QoS policy and real-time quality of the WAN service - internet, MPLS, LTE or any combination. First packet application identification facilitates efficient service chaining and also mitigates security risks and enables the SD-WAN to adapt automatically to changing conditions.